This is a Friday for a Farmer. Friday! Hooray the weekend is here! That means I can take a break from farming, the fields, the greenhouse, and such right? Nah. Just more time for projects. Uninterrupted projects sometimes! But hey I am not complaining at all. IT IS A JOYOUS AND AMAZING TRIP. Tinkering with heaters, complaining about the refrigerated truck, harvesting at night, printing off recipe cards for the Clearfork Farmers Market Green Harvest Box (that is a first and a new thing for the farm). Just some of the thrilling highlights of my day. This is how my Friday looks ready? This farmers go to breakfast just add chopped bananas and berries. 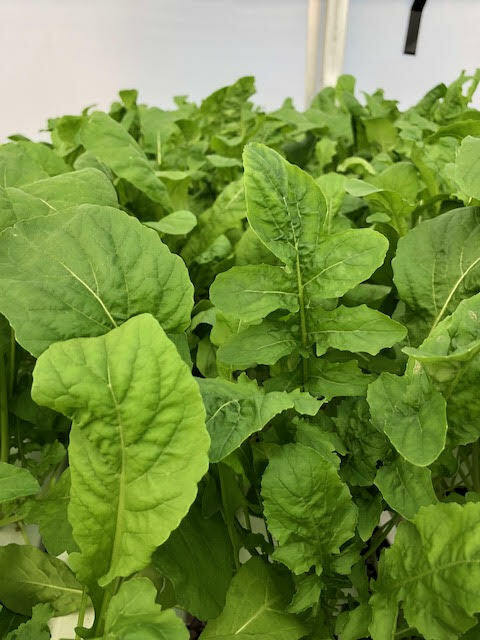 8:30 AM forgot I had a screen share meeting and conference call..
10:20 AM Get into the greenhouse and help with the harvest, pack up great looking Arugula, bundle it. Call Juan Rodriguez Chef Owner at Magdalena's to see if he needs any green goodies. 11:00 AM Get called back by Juan and get him the green goodies for his weekly supper club. This is how I take an order and track it on the go! ANAP? More like AMAP! 1:00 PM Delicious and tasty lunch (Heirloom Lettuce Greens, Baby Kale, Flackers crunched up, and Brianna's Zesty Italian dressing. 1:30 PM Help Brian finish up the labeling for the next day deliveries and farmers market! 2:20 PM Finish up planning and setting up a new hydroponic system for testing new crops for this season! 4:30 PM Look at the time and wonder what I am gonna eat for dinner. 5:00 PM Decide I can't go pick up the hopefully repaired refrigerated truck. Now work on the Farmers Market for tomorrow, pack orders, and dinner. (Still haven't figured that one out! If you haven't subscribed to the newsletter that TexSelect releases every week you should. I am including two new recipes for our heirloom greens, herbs, and microgreens. I am using them to get over this darn head cold I have had. I will hint at them. One can be used for a dope marinade and the other for dip. SO........ what are you waiting for? Support your local farmer and see you at the market.